The goal of proficiency-based learning is to ensure that students acquire the most essential knowledge, skills, and habits of work they will need to succeed in college, careers, and civic life. 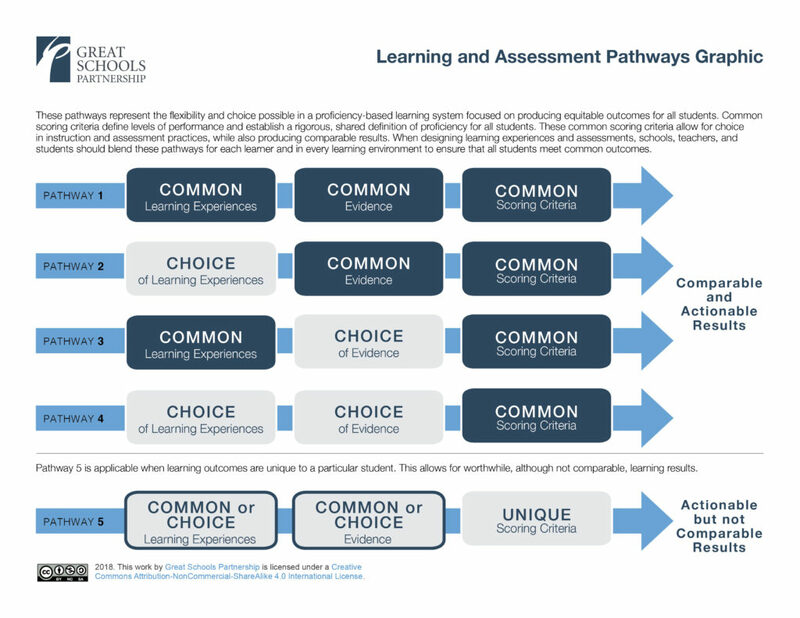 These pathways represent the flexibility and choice possible in a proficiency-based learning system focused on producing equitable outcomes for all students. Common scoring criteria define levels of performance and establish a rigorous, shared definition of proficiency for all students. These common scoring criteria allow for choice in instruction and assessment practices, while also producing comparable results. When designing learning experiences and assessments, schools, teachers, and students should blend these pathways for each learner and in every learning environment to ensure that all students meet common outcomes. The following definitions clarify the elements of the Learning and Assessment Pathways model. Learning experiences are any courses, programs, or experiences through which learning takes place. The learning experience element in the graphic highlights choices made by teachers and students about how students will learn. Learning experiences may be personalized for a student, shared by some students, or common for all students. Often, teachers support students in designing their own learning experiences. Evidence refers to the work students produce to show their level of proficiency on one or more learning outcomes. This evidence can be created, observed, and documented in a number of ways including products—such as tests, portfolios or projects—and demonstrations of learning—such as performances or exhibitions. While often generated through traditional assessment practices, evidence can also be derived from a wide range of experiences outside of the school building. Scoring criteria describe levels of performance for each learning outcome. They also apply to a variety of tasks and serve as the foundation for rubrics or scoring guides. When combined with regular calibration among teachers, the application of common scoring criteria can ensure comparable and actionable results across students, courses, and schools. The use of common scoring criteria allows teachers and students flexibility and the opportunity for personalization while retaining the same rigorous career and college-ready expectations for all students. 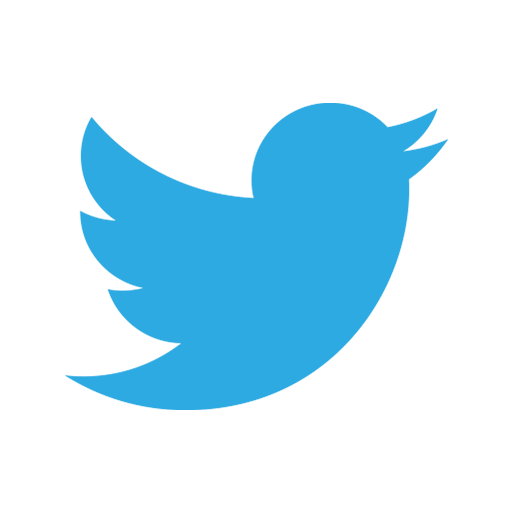 Choice refers to teacher-created learning experiences that students can select, as well as learning options generated by students. It is widely demonstrated that student engagement in learning increases when voice (e.g., input) and choice (e.g., opportunities) are present. Common refers to learning experiences, evidence, or scoring criteria that are the same for all students. Comparable and actionable results are achieved when the same scoring criteria are consistently applied to evidence students produce. Educators must calibrate scoring to promote consistency and reliability, which are necessary to achieve equitable outcomes. When evidence of student learning is evaluated against common scoring criteria, it provides actionable information about the learner’s current level of understanding and skill. Pathway 5 provides opportunities for students to engage with learning outcomes that may not be expected for all students. This includes learning opportunities beyond the required curriculum or outside the expectations established for all students. Scoring criteria are still necessary to define what proficiency on those unique outcomes looks like, but the results cannot be compared because they do not apply to all students. While Pathway 5 may open the benefits of a wider range of learning outcomes, it must be selected with caution and transparency so students are not held to lowered expectations.